Facebook announced this week it's getting into online dating -- a surprising move that comes just six weeks after the Cambridge Analytica scandal. The timing couldn't be more off for the news. The company is still working to prove its users aren't just a product it's commoditizing for advertisers. In March, data firm Cambridge Analytica, which had ties to President Donald Trump's campaign, accessed information from as many as 87 million Facebook users without their knowledge. CEO Mark Zuckerberg later endured two days of questions on Capitol Hill about Facebook's responsibilities to users and collection practices. 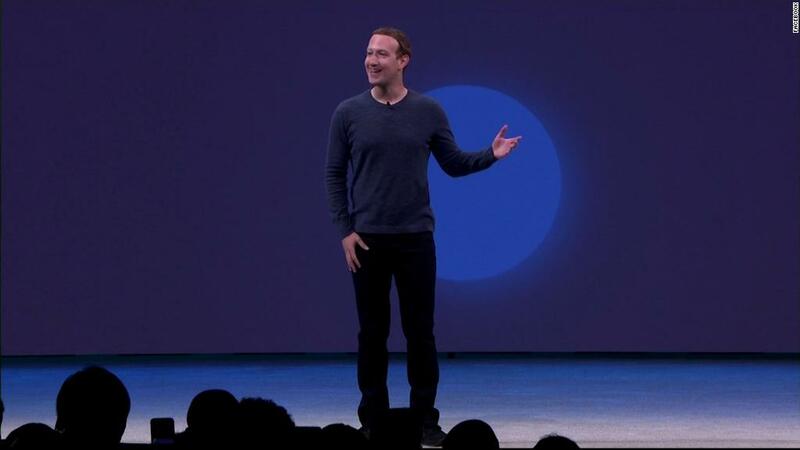 On Tuesday, Zuckerberg announced on stage at Facebook's annual developers conference, F8, a dating feature to help people find relationships. Timing for the service has not yet been announced. Some critics panned the move as a way to gather more personal data about its single users and questioned if personal information would show up in News Feeds for friends to see. "I know a lot of you are going to have questions about this," Zuckerberg said during his keynote speech. "We've designed this with privacy and safety in mind from the beginning." Dating profiles, in fact, won't be visible to friends or appear in News Feeds. It's an opt-in feature, and users won't be matched with people they're already friends with on Facebook. There's also a text-only private messaging inbox, which isn't connected to the Messenger or WhatsApp apps. Nick Hayes, senior analyst at research firm Forrester, said the guidelines around its dating tools may help users feel more secure or inclined to share information, but it's not evident as of right now how else Facebook will protect user privacy. "It's still unclear how those features are going to help users manage or limit the amount of data Facebook gleans from their dating interactions," he said. A Facebook spokesperson said the company doesn't plan to show ads within the dating experience or use user information to target ads in News Feeds. Debra Aho Williamson, principal analyst at research firm eMarketer, said the company will need to be transparent as to how it uses member data and who sees it. "This will be a good test of whether Facebook can truly create a positive, privacy-aware service for its users," she said. Experts say it's not shocking Facebook is getting into dating, especially given that existing dating-app companies have largely relied on the social media behemoth for their own apps. Apps like Tinder, for example, require a Facebook login to use its service. This grants the apps access to select Facebook data, which speeds up the process of creating dating profiles. It also helps companies weed out fake profiles. "I am surprised it took this long for Facebook to get into the space," said Patrick Moorhead, principal analyst at Moor Insights & Strategy. "Users will have many questions on privacy, but I believe more people [are] concerned with Facebook making a mistake and posting something private to the more public News Feed." The new service creates more competition for IAC's Match Group, which owns dating apps such as Tinder, Match, OKCupid and HowAboutWe. Match Group has monopolized the dating app industry by buying dating startups that compete with its own services. Match Group's stock fell down about 20% following Facebook's announcement. Meanwhile, Hinge -- another app-based dating service -- pointed out similarities between its own app and the Facebook dating service mockup shown at the conference. Facebook's entrance into the arena could make it even more difficult for startups to find success. But for now, whether or not users sign up could come down to trust.